EBC Brakes is this year’s headline sponsor of Japfest. Here’s a little look at their best products and what you can expect them to bring to the show. The British master of stopping power, EBC Brakes has just launched the performance product we’ve all been dying to get our hands on: the awesome new range of multi-pot calipers. Storming our Stunt Arena, will be Xtreme Mountain Bike Show and Kangaroo Kid Quad Bike Stunt Show they'll be performing high octane, thrilling stunt and jumping action throughout the day to entertain visitors! Check out our Stunt Arena Timetable here. At the heart of the event you'll find our Parade Arena. The Parade Arena will be buzzing throughout the day with parades from our anniversary displays and Show and Shine contestants, winner announcements, Q&A's with Rotary Motion and more! Click Here to view our Japfest 2018 Parade Arena Timetable! As usual, Retro Japanese will bring a superb slice of variety to proceedings, with over 40 vehicles, covering a wide range of bases. There will be recent cover stars, including Gurveer Sohanpal's stunning Impreza WRX and Brian Gardiner's 1970 Datsun Bluebird 1600SSS, which he has owned from new! We have packed the track timetable full of public and club track sessions for you to take part in throughout the day. 2018 track time has been kindly sponsored by Nankang! This is your chance to take to the famous asphalt of Silverstone National Circuit, the home of British Motorsport and take your own car out on track in our 20 minute 'Jap Only' sessions. Japfest Silverstone is delighted to have Rarerims as the official alloy wheel partner for 2018! 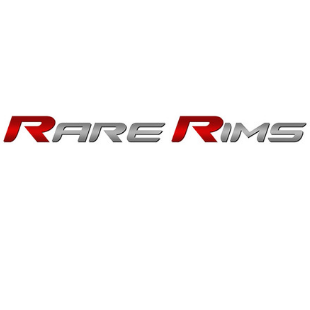 Rarerims was founded in 2003 by Julian Pearcey in Devon, UK, a keen car and wheel enthusiast. Whilst searching for a high quality wheel for his track spec Honda Integra DC2, when he came across Rota wheels in the USA, where they were a popular name on the tuner car scene. Fast Car magazine has been defining car culture since 1987 and each year bring along an impressive array of cars for the Fast Car Magazine stand and 2018 will be no different! There’s some big celebrations planned for this year’s Japfest with not just one anniversary display but three! Toyota’s legendary AE86 Corolla turns 35, while both the Mazda RX-7 and Toyota Supra celebrate the big four zero and to mark this occasion we’re putting on three anniversary displays that will showcase the best examples of these Japanese icons from across the UK.